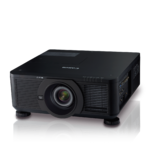 In addition to delivering 6000-lumens and WUXGA (1920 x 1200) high-resolution, the Canon REALiS WUX6010 D projector offers a DICOM Simulation Mode for the display of monochrome digital X-rays, CAT scans, and MRI's with accurate colour and precise detail. This special mode simulates the results of devices compliant with the Digital Imaging and Communications in Medicine (DICOM) Part 14 standard. 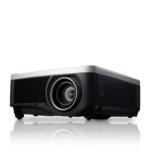 For added flexibility, within this mode users can select from either blue or clear base and can further adjust the colour temperature according to their individual preferences. 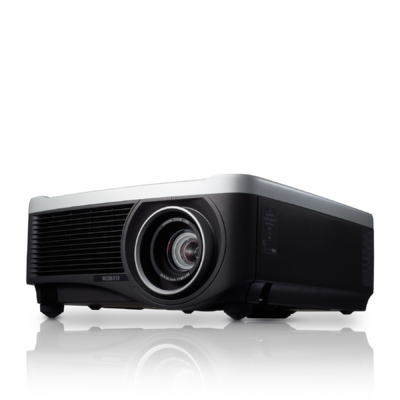 The REALiS WUX6010 D integrates Canon's unique LCOS (Liquid Crystal on Silicon) display technology with five different interchangeable Genuine Canon projection lenses to match a variety of screen sizes and display environments. 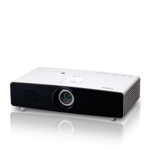 A choice of multiple image-mode settings and adjustments, a powered horizontal and vertical lens-shift feature for installation convenience, a simplified maintenance design, advanced Professional Calibration settings (including Edge Blending), extensive connectivity (including HDBaseTTM,HDMI, DVI-I, and RJ-45 ports), and compatibility with PJLink and Crestron and AMX systems all combine in the Canon REALiS WUX6010 D Installation LCOS Projector to deliver a bright, versatile display solution. 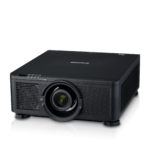 These capabilities combine to make the REALiS WUX6010 D Pro AV Installation LCOS Projector an ideal solution for those in the medical education and training fields, or other specialized applications like black and white photography where an expanded range of gamma adjustment is required. *5: Varies depending on the combination of the HDBaseT and network settings.